..from www.BabyGearToday.com: “There are so many different baby mattresses out there. It is often a difficult decision on which one to purchase. I have definitely seen my share between my kids, but I have never seen anything like the Heaven Sent Breathable Baby Mattress. Secure Beginnings, the company behind this revolutionary mattress was founded by a father, Kelly, whose close friend lost a child to SIDS. Wanting a safer sleep environment for his baby, he came up with a breathable sleep surface with a passive airflow technology that reduces the build up of carbon dioxide and stops the build up heat thus causing a rise in body temperature- which has been linked to a potential cause of SIDS. 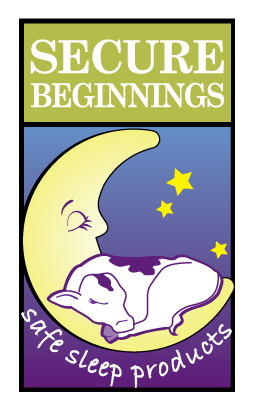 After partnering with Julie, who lost a niece to SIDS, Secure Beginnings LLC was born.